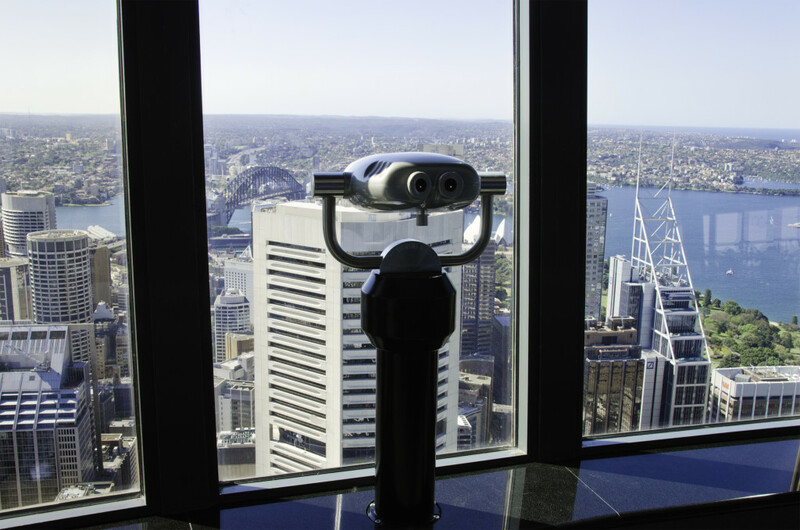 The Sydney Tower Eye Observation Deck & SKYWALK offers the ultimate view of Sydney and beyond, where visitors where can enjoy a horizon-to-horizon panorama. Stroll around whilst using educational touchscreens and high-powered binoculars and take in the sights from every point of the compass – the Blue Mountains are right there to the west, with the sprawling Western Suburbs in the foreground. Look to the north and marvel at the Harbour’s intricate shoreline in incredible detail, while the south reveals the bustling Sydney Airport all the way through to historic Botany Bay. Meanwhile, the east will take your breath away with Sydney’s famous party precincts and beachside playgrounds leading to an unmatched view of the Pacific Ocean through the famous harbour heads. On a clear day, you can see up to 80km – It’s perfect for planning a day around Sydney and understanding the layout of this beautiful cosmopolitan city. Included in admission, the 4D Experience is a ground-breaking 3D film with spectacular in-theatre effects and a breathtaking fourth dimension that gives an amazing view of the city. 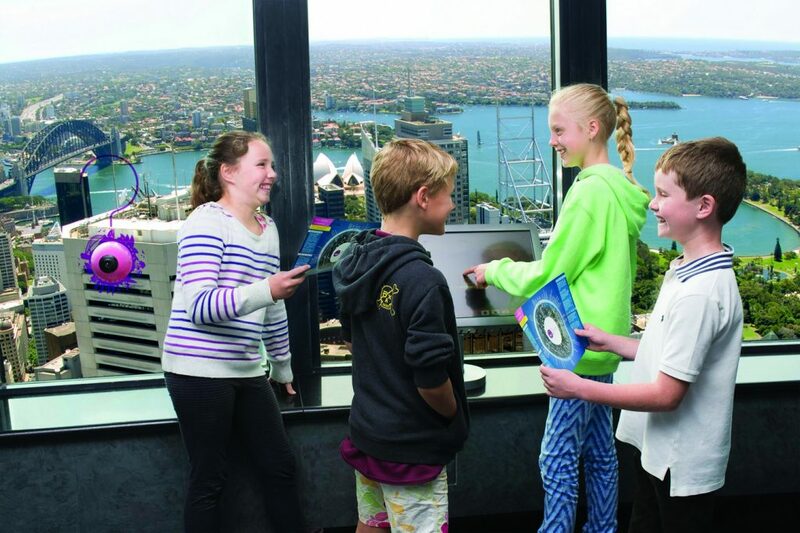 Kids 8 years and over can take on SKYWALK, Sydney Tower Eye’s outdoor adventure. 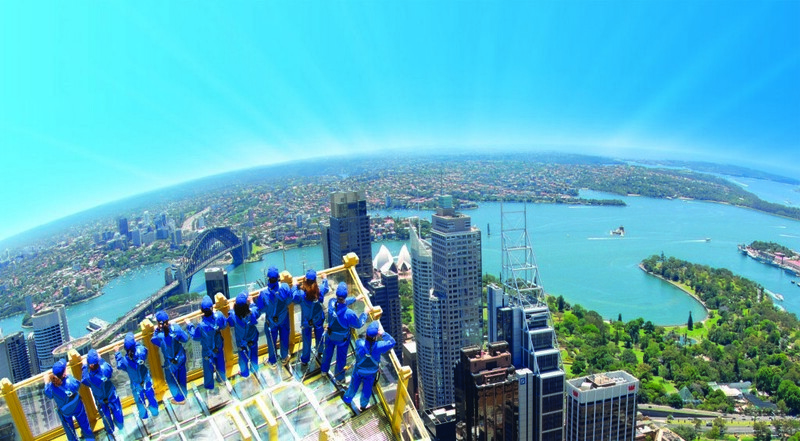 You’ll be walking on air 268 metres above stunning Sydney, with the city streets directly beneath your feet. 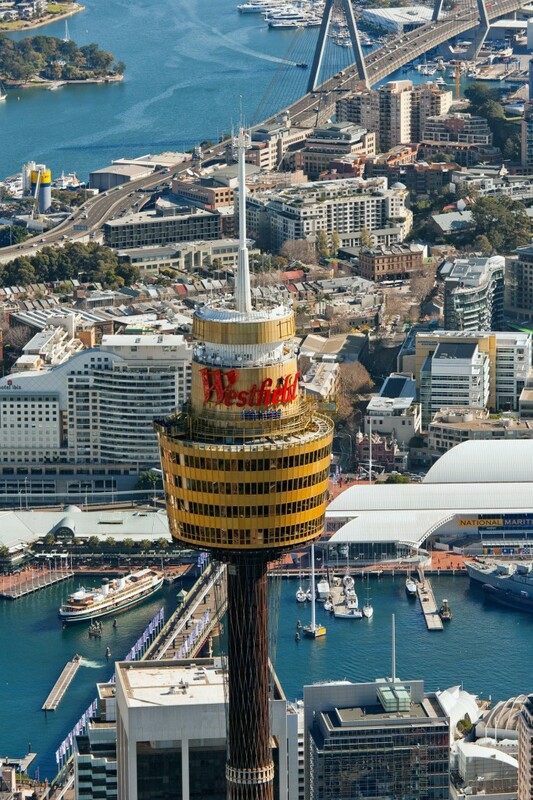 Look down through the glass floor viewing platform for a bird’s-eye perspective of the bustling city below, as part of a 45 minute guided tour around the outside of the iconic golden turret of Sydney Tower. With both day and night viewing available, there’s simply no better place to experience the beauty of one of the world’s most picturesque cities.